Life (1995) is, to my mind, the best album the band released. Their debut, Emmerdale, was a little disjointed, not that that made it any less enjoyable. With Life there's more of a natural flow to the songs, not to mention the fact that almost every track could be single in its own right. Once again Nina Persson's almost child like vocals are what makes the band so memorable. The album contains 11 tracks (45 min, 17 sec). 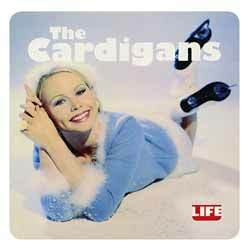 To my mind this is the only The Cardigans album you really need. The rest are good, but this is by far the finest.